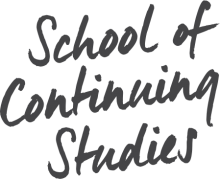 The McGill School of Continuing Studies works with local, national, and international organizations to provide customized learning solutions. Our experts partner with yours to develop and deliver customized courses and programs that respond to your unique needs and vision. Our current partners include corporations, educational institutions, and professional orders located in North America, Asia, Latin America, Europe, and the Middle East. Take advantage of the unique culture of Montreal, a cosmopolitan city with vibrant English and French communities and a strong multicultural character. Customized language training for professional purposes, such as Medical English or French, Language and Professional Development for Nurses, and French or English for Human Resources, for Macroeconomics, for Tourism, etc.